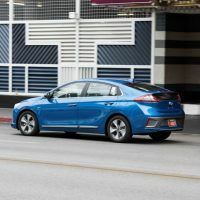 Hyundai is showcasing a host of future mobility and transportation technology at the 2017 Consumer Electronics Show (CES), happening now in Las Vegas, Nevada. 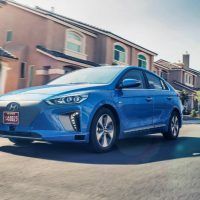 Hyundai is demonstrating their advanced autonomous IONIQ models on the roads surrounding the venue. On the test route, autonomous IONIQ models navigate using an advanced form of LiDAR technology, a laser and radar-based detection system. It scans and identifies the precise location of other vehicles and objects, traveling safely through the test route. Hyundai uses a different approach in the placement of their sensors, foregoing the typical roof mounted apparatus. Instead, the LiDAR technology is hidden behind the autonomous IONIQ’s front bumper. This helps maintain a sleek design for the car but also allows engineers a more functional, less complex setup. 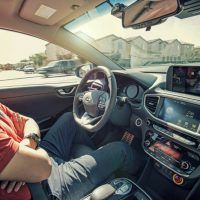 Hyundai’s self-driving systems are kept as simple as possible by integrating existing functions from the production models, including the forward-facing radar of the Smart Cruise Control and the Lane Keeping Assist cameras. A GPS antenna is also utilized to search for the location of other vehicles while high-definition mapping software returns vital data to the car. This data includes things like road gradient, curvature, and lane width. Between the LiDAR, GPS antenna, and existing safety features, the complete system is able to navigate even the most difficult situations, readily identifying other cars and pedestrians, to small pets, speed bumps, and traffic signs. 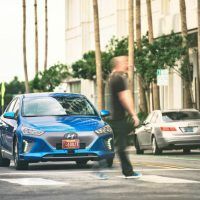 Hyundai is currently conducting extensive urban testing with the primary goal being the safe execution of autonomous driving with less computing power at a lower cost. 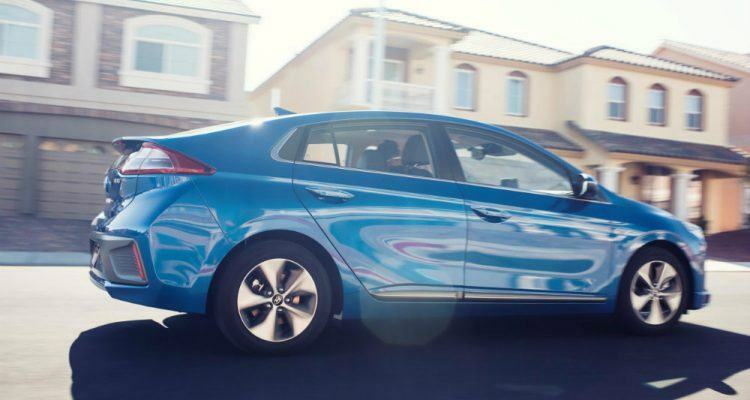 Throughout CES, two Hyundai cars will be navigating test routes around Las Vegas. Visitors can further experience Hyundai’s autonomous technology through Virtual Reality simulators at the Hyundai Motor booth. 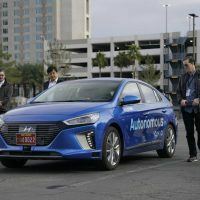 No Comments on "Hyundai Showcases Autonomous Driving Tech In Las Vegas"